Brian Wagoner ’18L, a graduate of UNC-Chapel Hill from Burlington, NC, worked this summer for the USAID Governance for Inclusive Growth Program in Hanoi, Vietnam. I found this position through Professor Rice, one of the upper-level professors here at W&L Law. 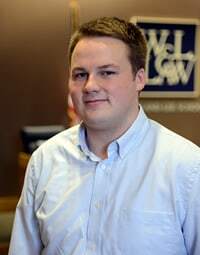 After expressing my interest in international law and my desire to work abroad during my 1L summer to my Kirgis Fellow, I was directed to faculty that could help direct me figure out where to find opportunities. Professor Rice was able to put me in touch with the program director of the USAID program and assisted me in setting up a skype interview. I worked in an office of ~40 staff that was mostly locals. My work consisted of locating, analyzing, and comparing laws of various countries that were related to newly proposed laws, or reformed laws that the Vietnamese Government wanted input on. I then compiled my research into memos that the staff were able to use in preparing presentations and learning more about the issues. Additionally, I was able to sit-in on and contribute to meetings with counterpart organizations such as the Asia Development Bank and various ministries and departments of the Vietnamese Government. In addition to developing my writing skills, I also improved my interpersonal and communication skills. Being in a country where most of the population does not speak English and that has cultural norms that could, at times, be vastly different than my own required flexibility and adaptability. Learning to work in such an environment could be challenging at times, but was a highly rewarding experience nonetheless. During my first year of law school, I worked with Professor Rice in assisting in the development of codes of conduct for two law schools in Ukraine. We would video conference with our counterparts in Ukraine to assist and offer input from our own experiences. This was my first international work experience and my first time where cultural differences were so pronounced. Having this experience before going to Vietnam was useful and would prove to be just a taste of what I would experience in Vietnam.